Kari is a volunteer for CF Canada since 2015. In this interview, she shares her commitment for the Walk to Make Cystic Fibrosis History. What’s your involvement with CF Canada (are you a volunteer, donor, event organizer, participant etc.)? I became involved with CF Canada in 2015. My family’s involvement with CF Canada started as a result of my oldest child’s diagnosis with cystic fibrosis in 2014. Our involvement came out of a goal to contributing to finding a cure for cystic fibrosis. As a family, we work diligently to ensure that we are doing all that we can on a day to day basis to keep our son healthy, but very quickly we became motivated to do more to influence our son’s future. 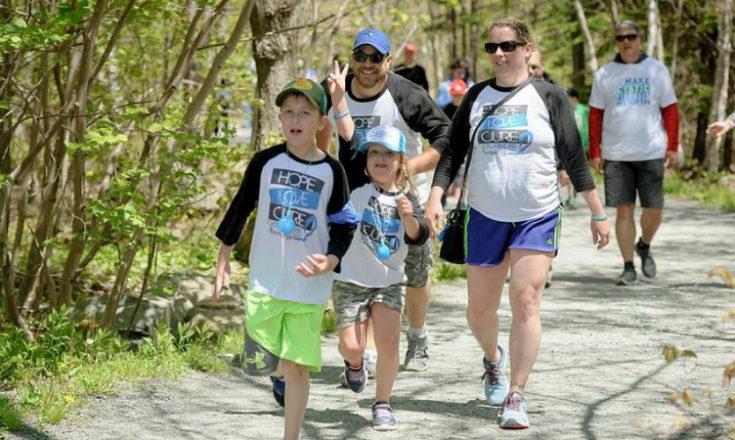 At that point, we decided to participate in the Walk to Make Cystic Fibrosis History in Dartmouth, Nova Scotia and have done so every year since. The walk and support from CF Canada excited us and made us want to do even more to contribute and make even more of a difference and we started our annual fundraiser Run to Knock Out Cystic Fibrosis” which takes place in Bridegwater, Nova Scotia. Cystic fibrosis has been a part of our daily life for the last 5 years, when our oldest child was diagnosed with cystic fibrosis. What has been the greatest highlight of supporting CF Canada for you? Supporting CF Canada is something that has been part of our family’s agenda in any way possible. We have all made it our mission to do everything that we can to make a difference and this has united us in a positive way to try to gain some control over our son’s health and future. The Walk to Make Cystic Fibrosis History has always been a really inspiring and heart-warming event that we have participated in for the last 4 years. 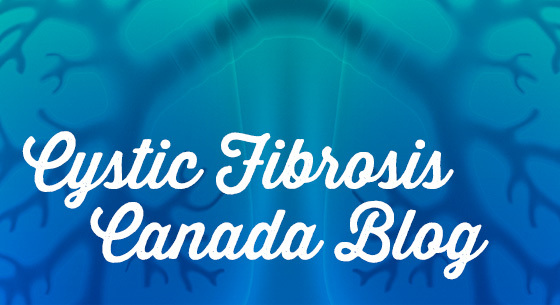 CF Canada makes the isolation that can sometimes be part of a family that has cystic fibrosis seem less and it also celebrates the community that CF Canada has created. The biggest highlight has honestly been the support that our local community has shown us with our annual Run to Knock Out Cystic Fibrosis. The selfless offers to assist and contribute from everyone in our community has been overwhelming and really has motivated us to continue to make more and more effort each year. What tips would you give to other fundraisers who are looking for inspiration to meet their goals? If it has even crossed your mind to start fundraising, do it!! Reach out to CF Canada! The staff are so approachable, open-minded, and helpful with anything you need. Fundraising doesn’t have to be overwhelming. The CF Canada staff will help you develop a plan that uses the skills and resources you have to help you make a difference for the kids and families that are working hard to stay healthy and strong through a life with cystic fibrosis. Why do you think it’s important to support CF Canada? From my perspective, supporting CF Canada means supporting my son and my family in finding a cure for cystic fibrosis. Supporting CF Canada is the way that my family will make a difference. What will #aworldwithoutCF mean to you?